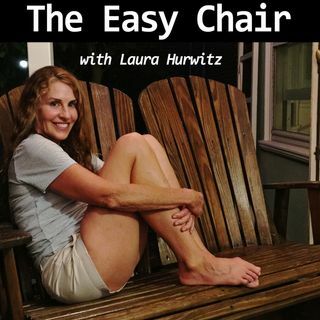 This week on The Easy Chair: Part One of an anti-holiday holiday short story: "Seasonal Work" by Laura Lippman. Grifter Gary and his four kids- three biological, one his step-daughter- take part in an annual holiday scam that’s working so far. Take off for a new city at Christmastime. Pretend the gifts you pretended to buy got stolen from your minivan. Local news coverage and a trusting public take care of the rest. Gary’s stepdaughter, narrator of the story, is a willing accomplice. ... See More Or is she? Tune in to hear me read this quirky, honest, unexpectedly resilient tale... to be continued next week. Today's episode is brought to you by Brooklinen. I just got my new Brooklinen comforter and slept like a baby for the first time since I was a baby! Brooklinen has some great gift ideas for this holiday season. If you go to brooklinen.com and use promo code chair, you’ll get $20 off your first order, plus free shipping. Go on, make yourself or someone you love blissfully happy!